Mid bloomer. 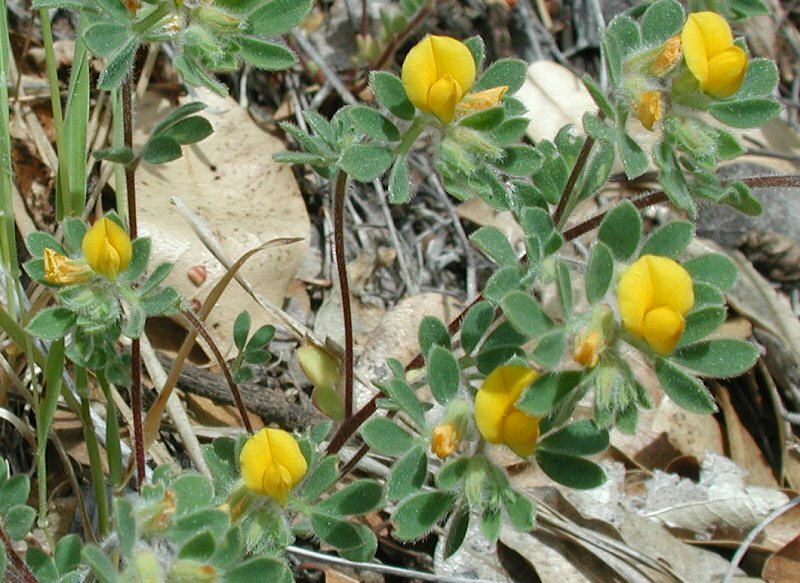 Small single yellow flowers above each leaf, usually in small clusters. Flowers redden with age, short stems, hairy stems and leaves. Notes: Pea Family. Prefers grassy slopes. 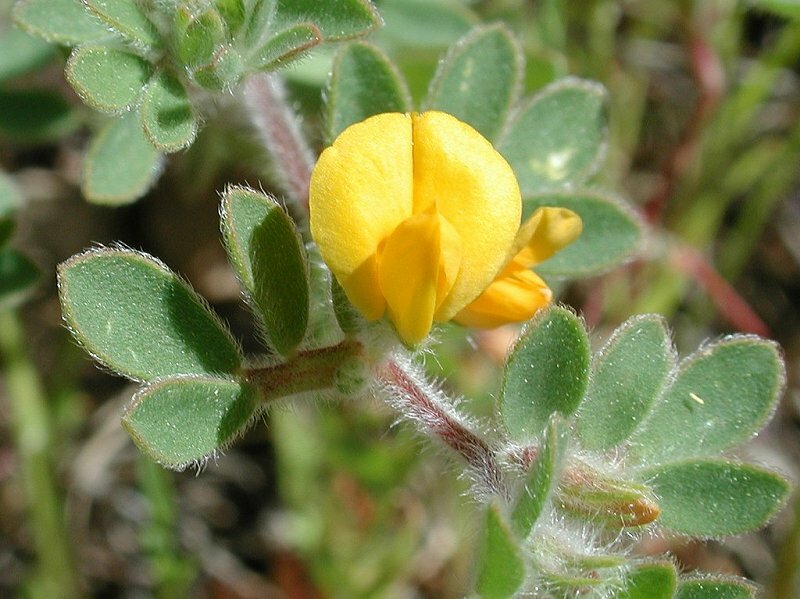 The genus Lotus has about 150 species (USDA lists 72 Species and 81 accepted taxa overall). The name Lotus is an old Greek name of uncertain origin. Humistratus means low layer in reference to its often low-growing nature. Flowers (1/4 inch) and hairy leaves are incredibly beautiful close up.